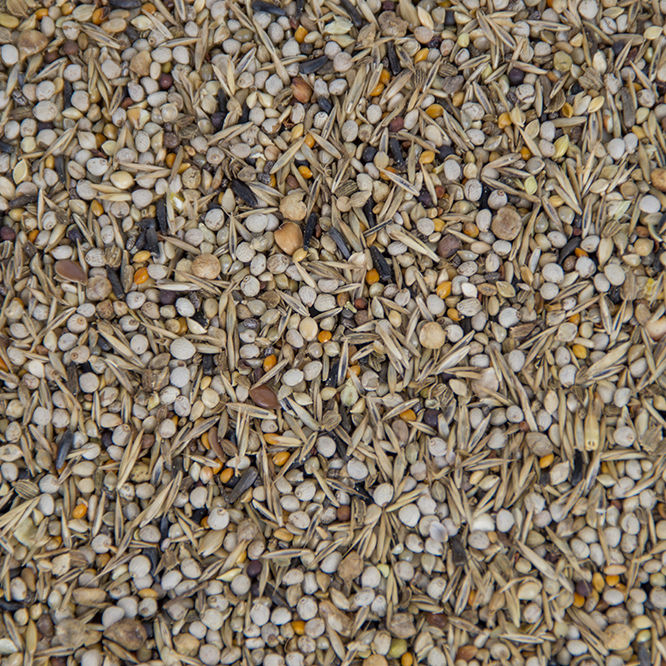 Mixture of high-quality seeds that are rich in protein and energy. Ideal to provide to birds with chicks or animals that need more. Also great for variation. Perilla seed, millet, sesame seed, panicum, grass seed, chia seed, carrot seed, niger seed, clover seed, radish seed, spinach seed, turnip seed. Offer fresh food on a daily basis. Always provide fresh water. Store in a cool, dark and dry place in sealed packaging.